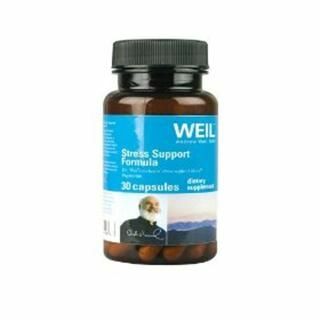 The Weil Sleep Support Formula helps your body relax while promoting a deep, restful sleep. 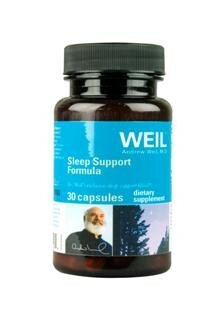 It contains 3 mg of melatonin. 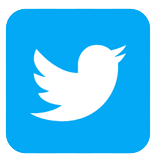 A clinical study has shown that 3 mg of melatonin can help improve overnight sleep efficiency. 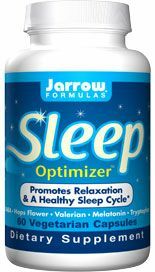 The formula also contains 5-HTP, which can be converted by the body into serotonin, a neurotransmitter that supports better sleep quality; resulting in a more relaxed feeling; and Lemon Balm and 5-HTP, herbs traditionally used to help promote relaxed sleep and a more relaxed feeling. 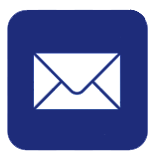 Take one capsule 30 mins before bedtime or as directed by your health care professional. Melatonin 3 mg * Proprietary Blend Suntheanine® L-Theanine, 5-HTP (5-hydroxyltryptophan), lemon balm (leaf), valerian extract 4:1 (root and rhizome) 400 mg * Other Ingredients: Rice flour, gelatin, purified water, MCT, silica, magnesium stearate. 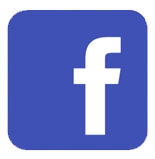 This product is not to be taken by pregnant or nursing women, individuals with autoimmune conditions or depressive disorders, or children under 16 years of age. Do not take this product when driving a motor vehicle or operating machinery. 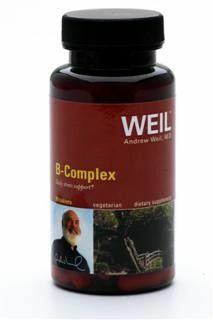 Distributed or manufactured from Weil Nutritional Supplements. 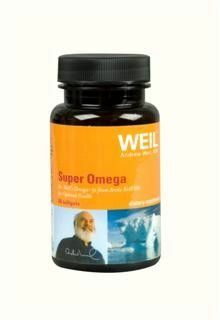 See more Weil Nutritional Supplements products.